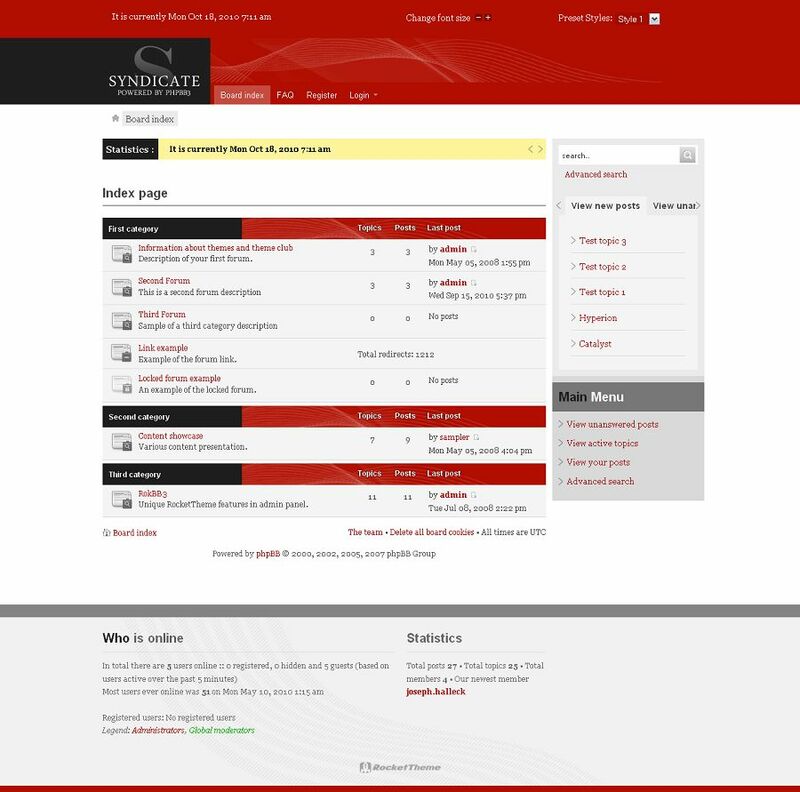 Syndicate is the October 2010 release of RocketTheme’s phpBB Style Club. 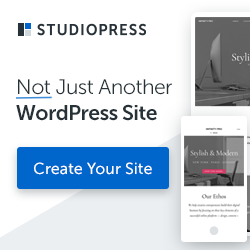 This style is perfect for any news, media or business type site that requires a clean, conservative but advanced design. The theme is the first to use the 16 Grid Gantry Layout for more structural control. Utilizing the Color Chooser, the style can be easily adjusted to any color scheme, in conjunction with 8 presets styles and 6 logo options the design is truly stylistically versatile. Features such as the tabbed modules, newsflash and Google Web Fonts support are also present. 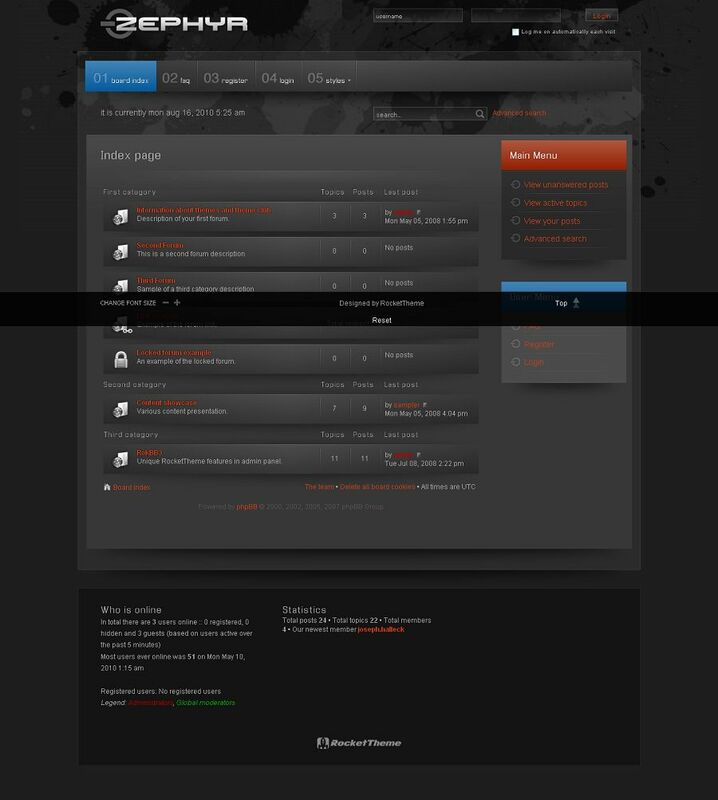 Omnicron phpBB3 Style is the ideal choice for any product related site, as well as wider purposes more generally, based on its rounded, colorful appearance and the inclusion of the new RokTabs module. 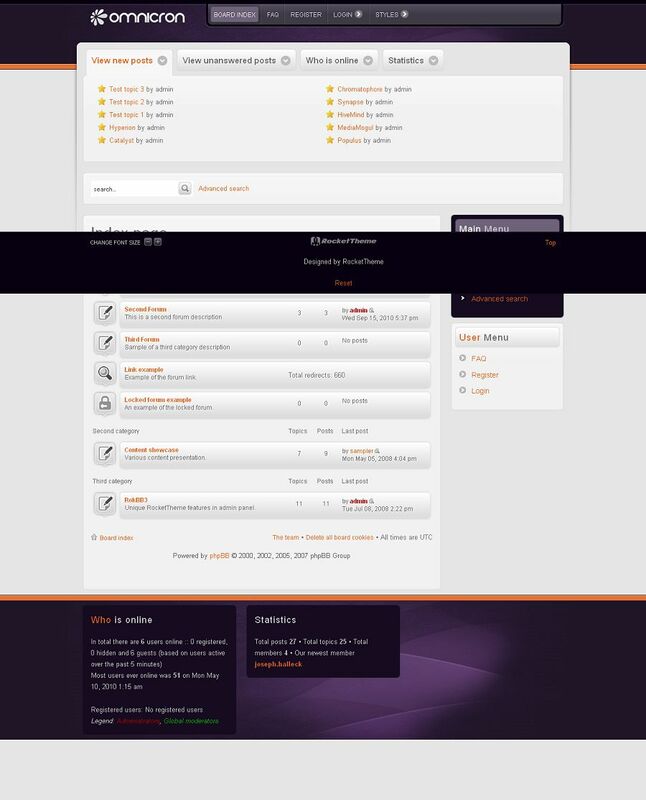 Zephyr is the September 2010 RocketTheme phpBB3 Club release. This style features an impressive assortment of stylistic tools, ranging from its completely Transparent Base, to an extensive array of Color Chooser controls. Integrated with RokBB3 Administration Module,powerful features such as RTL Support, Google Web Fonts and many others are standard features by default with the Zephyr phpBB3 style, making it truly versatile and flexible. 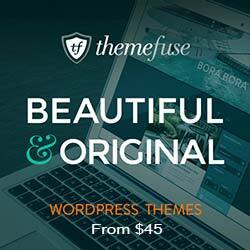 Panacea phpBB3 Style encapsulates stylistic freedom with the inclusion of Color Chooser that allows easy style customization with just a few clicks. The style also supports a Background Rotator for the sub-header area, as well as popular features such as RTL Support or Google Web Fonts. 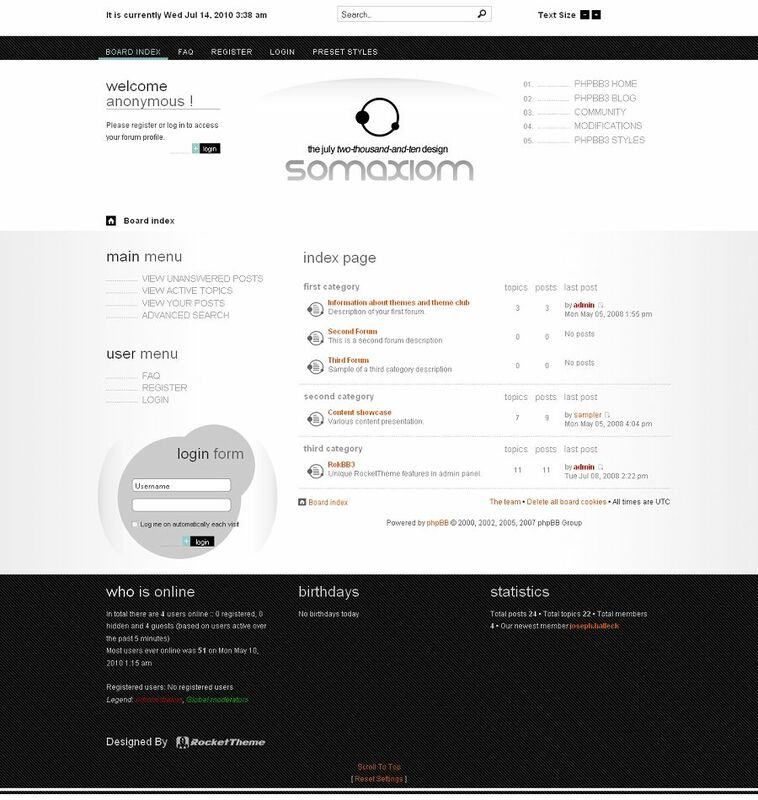 Somaxiom phpBB3 Style concentrates on elegance of design. The visuals are refined and conservative, making the appearance suitable for many different types of forums, as well as providing a base for extensive customization. The phpBB3 style provides support for Google Web Fonts, and is equipped with few interesting RokBB3 options.